To celebrate our 5th Year Anniversary, we are offering our WWLC bundled program options and our "Focus on Healthy Eating" Facilitator Program options below at incredibly reduced fees from January 1 - September 30, 2019. Certify with us in 2019 and SAVE BIG! The “Focus on Healthy Eating” Certified Facilitator Program (FOHE) dates, fees, and registration links are provided below. Program registration is limited per intake! Interested individuals are encouraged to contact info@workplacewellnesscoe.com to sign up for our Wait List and to be notified of program registration commencement. 2019 “FOHE Facilitator Certification Program” Dates! Become a dynamic, highly skilled FOHE Program Facilitator! Interested in becoming a Certified Workplace Wellness Ambassador, Master Ambassador, or Certified Executive Wellness Coach or EWLP Program Facilitator? Be sure to explore and consider our Workplace Wellness bundled certification program options prior to registering for our FOHE Facilitator Program! 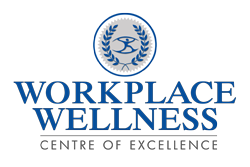 Contact info@workplacewellnesscoe.com with inquiries or to register for one of our Program “Information Sessions”. $212 USD x 4 mo. $222 CAD x 4 mo. Join our global team of FOHE Program Facilitators … a transformational, career-building journey awaits!